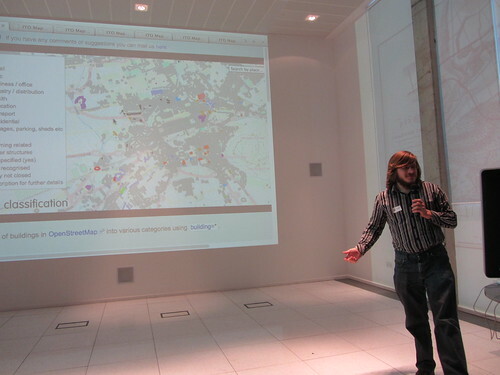 This year at State of the Map Scotland 2012 I spoke about the ITO Map tool to highlight the more detailed OpenStreetMap data available, which generally isn’t shown on maps. I’ve mentioned a few other services that I find interesting that maybe aren’t so well known. This blog post is a summary of that talk. You can click the map images to see a bigger image. First up, was the building classifications and building addressing ITO Map layers. It’s really useful to have address information on buildings as then you can find the specific address rather than just the street. A lot of the buildings in OpenStreetMap at the moment are simply marked as building=yes, (94% of buildings don’t specify the building type), however if the buildings are marked with what they are used for then more interesting maps showing the building classification can be created, and you have information that can be useful for planning things. 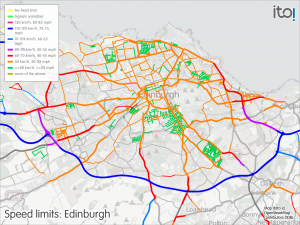 Not many people have come across a speed limit map, as it’s very rare that this information has been readily available until people started adding it to OpenStreetMap. The ITO Map layer is great for showing the current data, and also highlighting where more data is needed, particularly residential streets and smaller roads. Most major roads in the UK already have speed limit data. 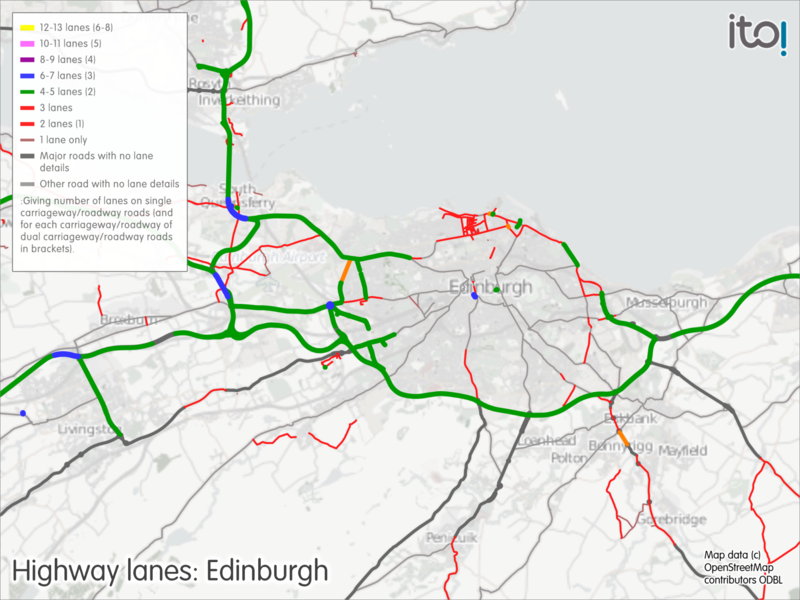 Next up I showed the Highway lanes map, which gives an idea of how busy or wide a road is. This data can be used by navigation devices to give advice on where to change lane on approach to a junction if it is required for example. I’ve also had someone suggest that it could be used by pedestrian and cycle campaigners to show how easy it is to cross a road, especially when used in combination with a map showing the pavements/sidewalks. Having the barriers in an area mapped can be useful in some cases as it can for example explain that two roads don’t join due to a wall being in the way, thus someone who is looking at the data remotely thinking there is a connectivity error won’t try and fix it. Barrier information is used by routing engines, for example CycleStreets will avoid taking you across some types of barrier. Many of the ITO Map layers are specifically aimed at helping OpenStreetMap Mappers to improve the tagging. For example the Building entrance fixup map layer highlights maps that are based on an older style of tagging building entrances. There was a change from simply say that there was an entrance to being able to specify the type of entrance. It’s also useful when people add other info like whether that particular entrance to the building is wheelchair accessible, which can then lead to wheelchair specific routing, and routing to a suitable building entrance, rather than the opposite side of the building which might mean a 5 minute walk. How good are you at counting? Having the number of steps in a staircase can mean that routing engines can avoid long sets of steps for example. This could be useful for elderly people who struggle walking up or down large flights of steps. I’m not sure OSM has come up with a consensus yet as to which direction is up or down, so that the routing engine could for example say go down 10 steps, walk 500 metres turn right and up 50 steps. CycleStreets take the view that dismounting and walking your bike up or down a few steps may be preferable to huge diversion. 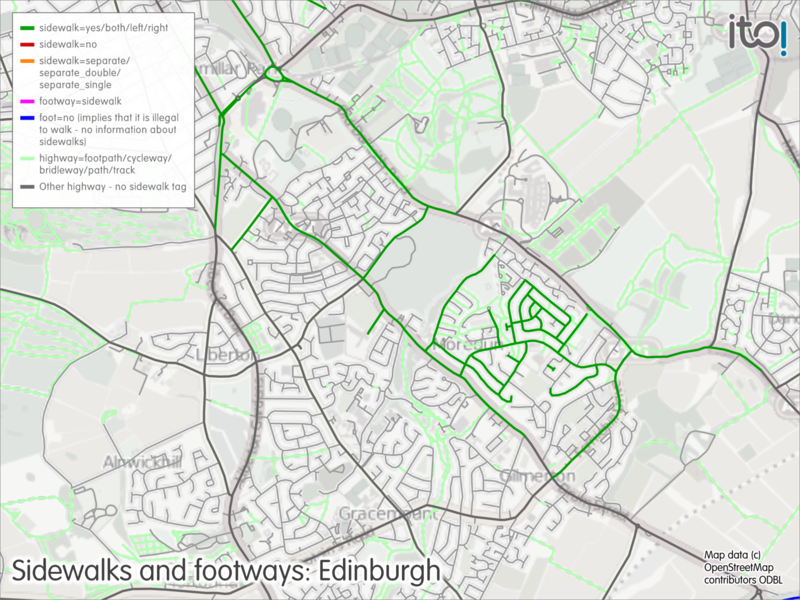 Another useful map for walking campaigners is the map showing where the pavements/sidewalks are. This more detailed information of roads is probably not so useful in towns and cities, but more so in more rural areas, where pedestrians will often be expected to walk along side motor vehicles travelling at 40 or more miles per hour, which can be a pretty daunting experience. There can be parts of towns and cities where there are urban motorways where there is no pavement, or only one on one side of the road. The OpenCycleMap has shown cycle parking in OpenStreetMap for many years now, however it doesn’t highlight the data in OSM that is lacking the capacity of each cycle parking place so that you know how big the cycle park is. 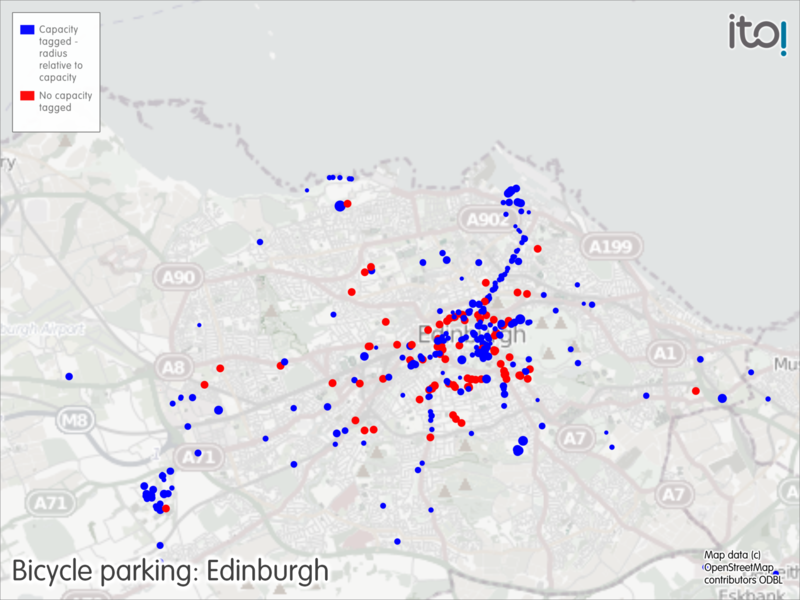 The ITO Map of cycle parking specifically highlights data that could be improved with a red dot or area. 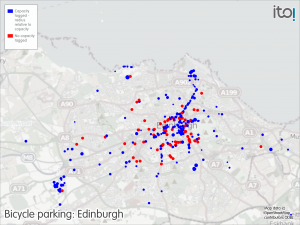 Gregory Williams from Spokes East Kent has created a heat map of cycle parking. Do you know where your nearest cash machine is and does it charge a fee? 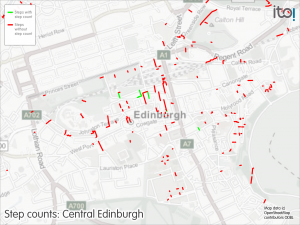 OpenStreetMap has some data for the ATMs, however I’m sure there are more out there. 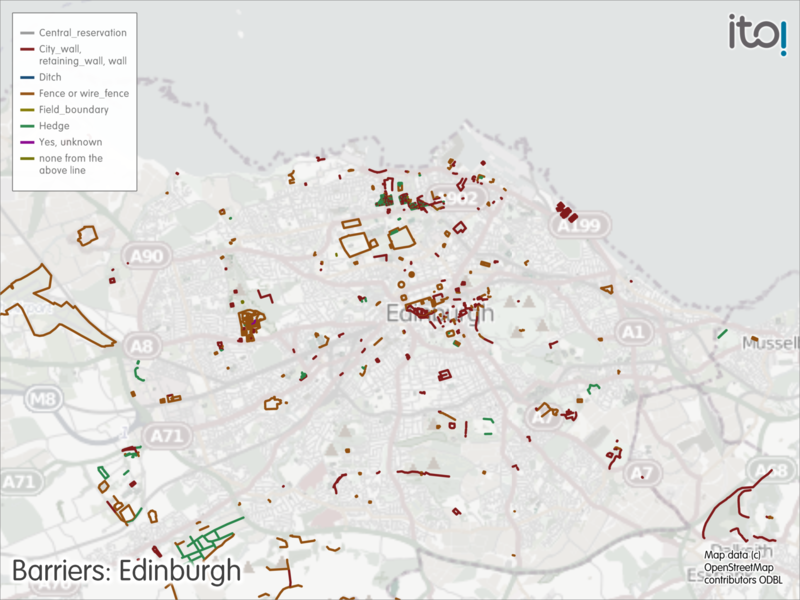 Is your local school mapped with buildings, and the schools grounds? ITO have a map for the schools. Next up I showed some of the Vector Map District comparison maps. 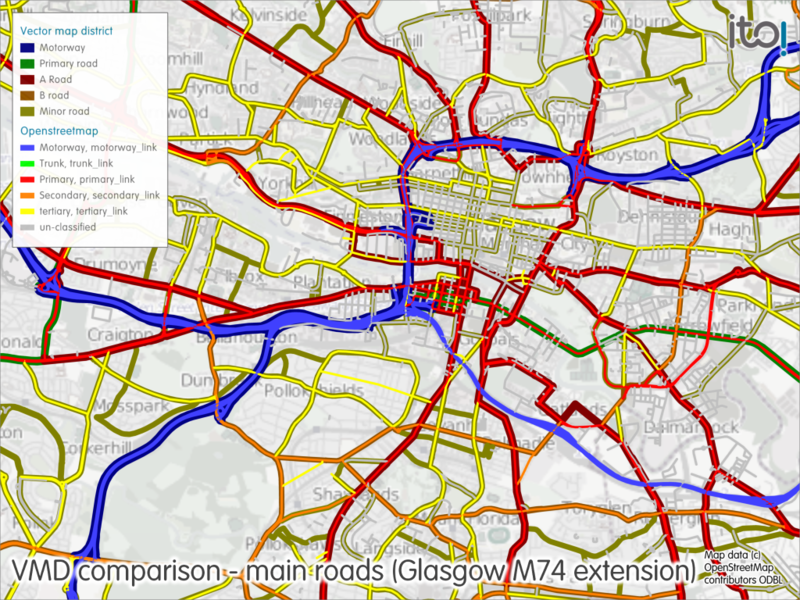 I started off with the main roads VMD comparison highlighting that it can help with showing where there may be some differences that need fixed. Sometimes the Ordnance Survey data sources can be out of date, thus shouldn’t be copied without thinking. The example above highlights the new M74 extension, which opened since the OS VMD data was released. The map highlights a lot of discrepancies in the tertiary roads (what used to be commonly C numbered). 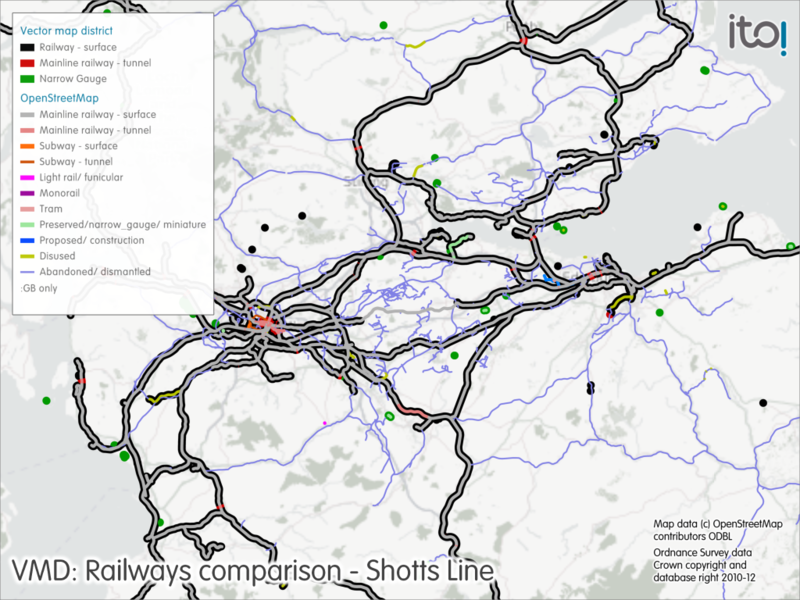 Similarly for the railways, OpenStreetMap is more precise, having more railway types defined, and also having new rail lines, such as the Shotts Line between Edinburgh and Glasgow now open. Recently at work I’ve been looking at what interesting things that I can do with ITO Maps. It turns out that having a random colour based on the road number works well at showing where there road numbers changing where I wouldn’t expect them, or thin black lines showing where there is a missing road number (or ref in terms of OSM tagging). 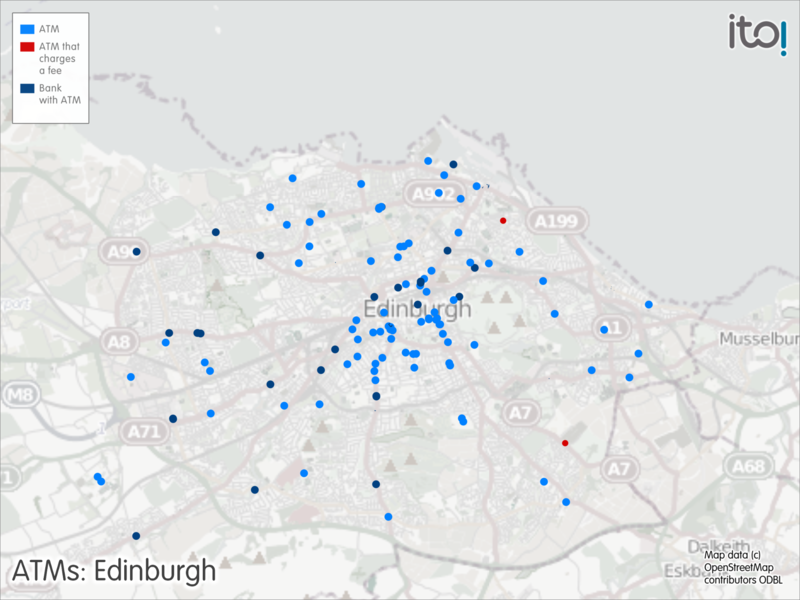 Someone has gone and fixed up most of the references that were missing in Central Scotland since the talk. 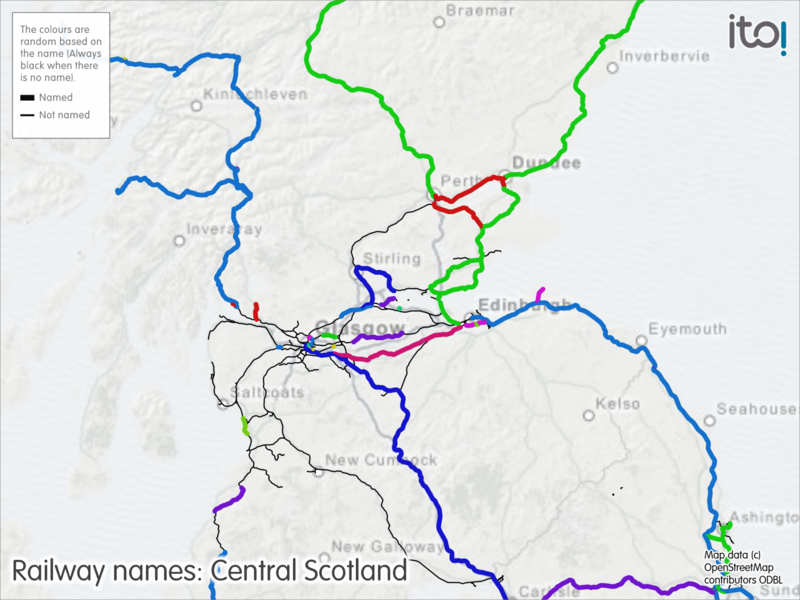 Similarly for railways you can easily see where they change name. In many cases the rail line doesn’t have a name. 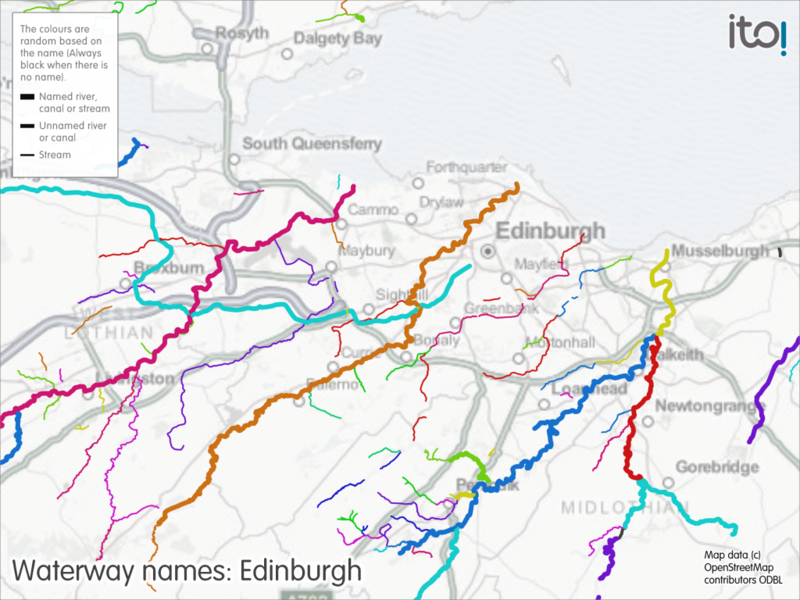 Or how about random waterway names? Do some of the names change unexpecedly? Finally I covered various questions and highlighting other things from the floor. ITO’s OSM Analysis tool is useful for spotting differences between OpenStreetMap and the Ordnance Survey’s OS Locator dataset. OSM Mapper is great for showing what has happened recently in an area, or highlighting the types of data that has been mapped in the area. ITO are able to create new map layers to support the validation of OpenStreetMap data. The best ways to get in touch are to either add a message to the ITO Map Ideas wiki page where it can be publicly discussed, or to email support@itoworld.com. Who did it? which highlights recent changes that have been happening, and whether you should take a closer look based on some heuristics. OSMstats shows charts about the OSM data and how it’s changing over time with daily updates. 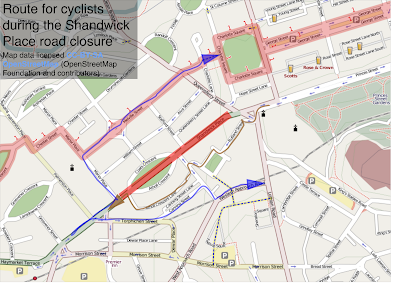 Richard Mann has come up with cycle map style that is distinctly different from the original OpenCycleMap. It highlights main roads that have residential roads along them as they are likely to be”nicer” for cycling along compared to more rural main roads. And finally you may not have yet come across the Live OSM Edits site. It can be quite addictive to sit and watch where there are edits happening in the world. 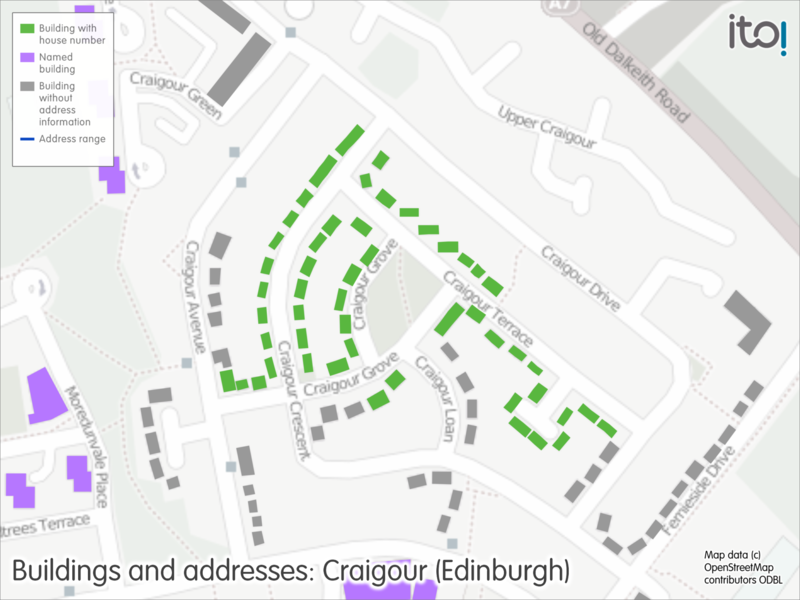 This entry was posted in Edinburgh, Maps, OpenStreetMap, SOTM, work on October 29, 2012 by smsm1986. 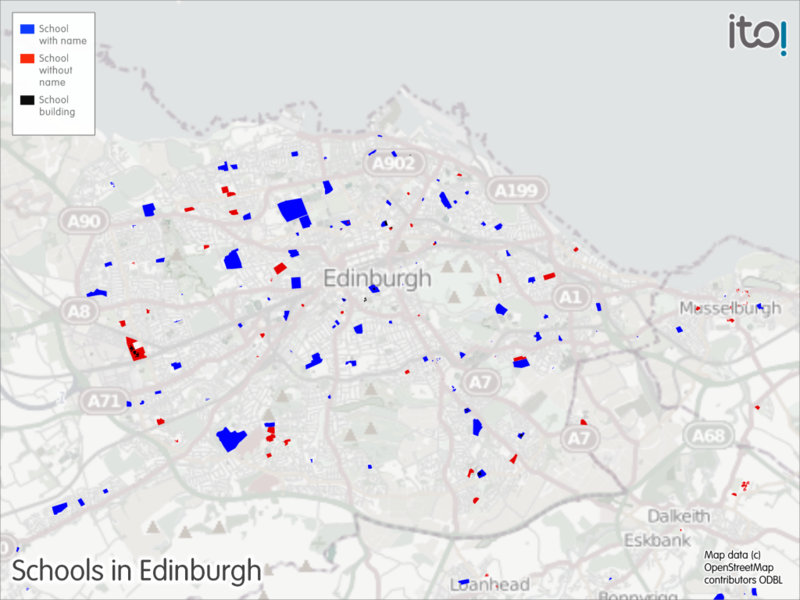 This Tuesday 8th December 2009, there will be another Edinburgh OpenStreetMap meetup. Unfortunately I won’t yet be able to enjoy another cycle out along the coast from Edinburgh to map some more of North Berwick, and return back to London on the Caledonian Sleeper. Not forgetting the significantly more people who came to the meetup than I originally expected. It’s great to see such great enthusiasm for a regular meetup in another UK City. When I was buying the sleeper tickets for the return leg of the last meetup, I found that phoning got a better deal than buying the tickets online and picking them up online. 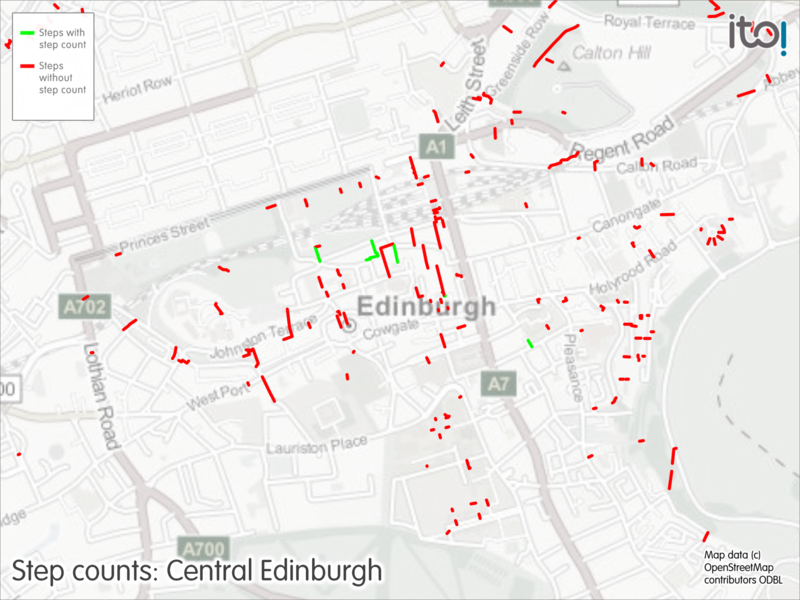 This entry was posted in Edinburgh, Maps, OpenStreetMap on December 6, 2009 by smsm1986. Further to my previous post about my bike. I had problems getting a proper chainring from half the bike shops in Edinburgh, so instead I got a second hand bike that was similar to my old one. Just over a year ago, I cycled from Edinburgh to Berwick-Upon-Tweed. Since then I have been trying to do it in both directions. However the past occasions that I tried to do it something came up. On Saturday I left home for a rather long cycle. Before I left I loaded TrekBuddy with a map of South East Scotland so that I had some idea of where I was. The overall cycle was tough. 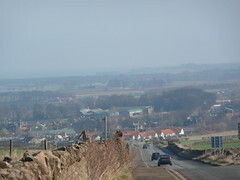 First I headed out East from Edinburgh through Musselburgh on to the A199, out to Dunbar. Parts of the A199 have some nice cycle lanes. As the road is fairly flat and straight you can easily get the speed up to do a nice sprint. This was the easy part of the route, as I have done it before. 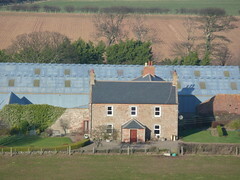 At Dunbar I started to head south towards Berwick-Upon-Tweed. 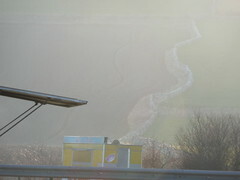 Parts of this part of the A1 can be scary, however it the only way south close to the coast that I know of. In the middle of the Borders, I decided to head through Pease Bay again. 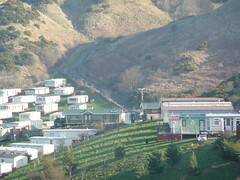 It is a steep road down to the bay, where the caravan park is, however it is even steeper on the other side heading out of the bay. As I had the map in TrekBuddy, I was able to find the A1107, which joins the A1 with Eyemouth in a loop. 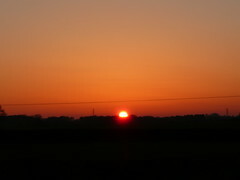 This helped me to stay off the A1 for a lot longer than I did the last time. 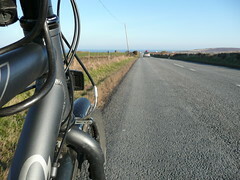 It was a nice road into Eyemouth, with some great views of the North Sea. From Eyemouth I headed along the “Berwickshire Coastal Route”, which meant that I was on the A1 for even less, and I’d have even more data to be able to add to OpenStreetMap.org. At the border between Scotland and England, I took a snack and photo break. 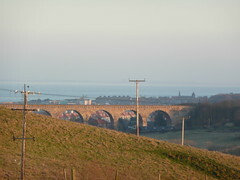 From the Border, it is only a few miles more into Berwick, where I joined the National Cycle Network Route 1 to head back to Edinburgh. The National Cycle Network takes you on the quietest roads possible. This will usually mean that they are quite hilly, longer and going into the middle of nowhere. There were some points where you could just see fields or trees, but no lights apart from my own bike or the occasional car. As you are heading west along the National Cycle Network, it does zig zag between Scotland and England a few times. 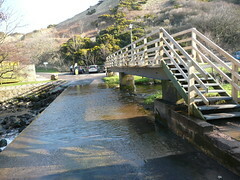 At one point there is a bridge that was built in 1820, and still in use today. 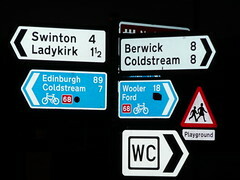 In Norham there was a sign that was rather confusing, as it had the wrong National Cycle Network Route number. Just as well I used the name of the city I wanted to head towards, rather than the route number. Just before Galashiels, I stopped to check the GPS and found that the phone no longer seen it. Unfortunately the battery in the bluetooth GPS that I’m currently using only lasts for about 12 hours according to the manufacturer. It lasted about half an hour longer, than the manufacturer’s stated operating time, so should I be happy that I couldn’t get the last bit of the trip? The cold weather didn’t help either, as batteries tend to have a shorter life when they are cold. From there on, there was no point in me taking any more pictures as I wouldn’t be able to Geotag them. Also it was dark so it was difficult to take any decent pictures. Finally stopping to take pictures does slow my average speed down considerably, and I was wanting to get home rather than be on the bike for a whole 24 hours. From Galashiels I just hit the A7 north to Edinburgh. I did notice on the way that the signs appeared to change from green to white like a yo-yo. Is it a trunk road or a primary road? Total Distance was about 150 miles in 17 and three quarter hours. Next up on the longer distance cycling is to head round the Forth again. 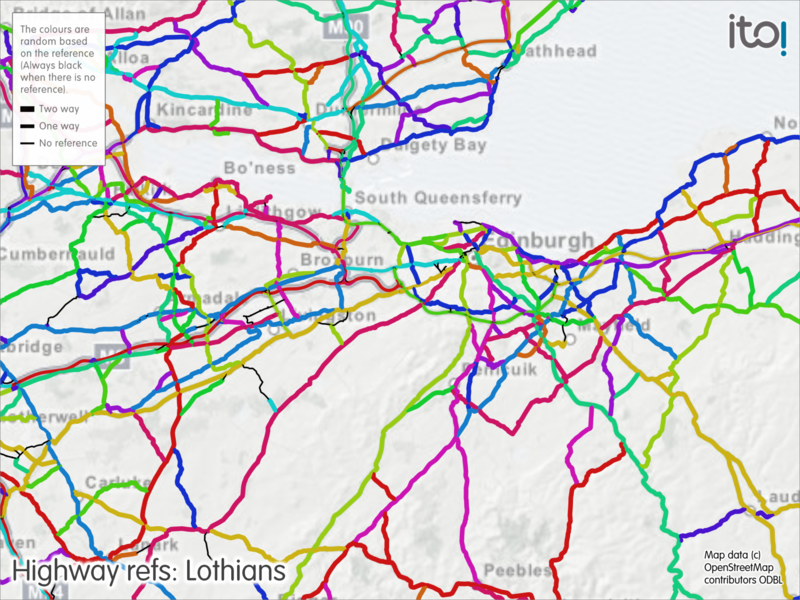 Now I just need to get the tracks from yesterday added to OSM (amongst the numerous other things I need to do). 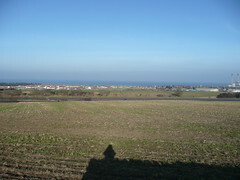 This entry was posted in Berwick, Cycling, Edinburgh, gps, OpenStreetMap on February 17, 2008 by smsm1986. Today I took part on the CTC Saturday cycle for the first time. Total distance including getting to and from the start and finish was 51 miles. As I raced to the meeting point of the Commonwealth Pool, I found the first part of the ride slow. Later on, especially with the head wind I found the pace of the group to be about right. I’m not able to sustain a high speed over a long enough distance to be able to move up to the next level of the road club. View the full route that I took. 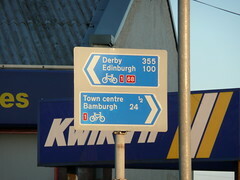 This entry was posted in Cycling, Edinburgh, gps on January 19, 2008 by smsm1986. Yesterday I took part in the first Edinburgh 20 miler ride of 2008. It was an easy, slow paced, group ride of 12 people around the west of Edinburgh. In total for the day, including to and from the start/finish I cycled about 26 miles. I found parts of the route interesting because I hadn’t come across them before. I was also testing out my new GPS linked to my phone, using the TrekBuddy software. It seemed mostly reliable, though there was a couple of points where the phone locked up, or there was sporadic data. The sporadic data was easily filtered by gpsbabel. It was also nice to be able to have cached OSM data on my phone, so that I could see where there was changes required to the data. Route of the 20 miler. 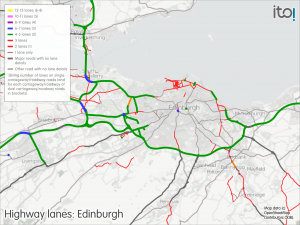 This entry was posted in Cycling, Edinburgh, gps, Maps, OpenStreetMap on January 13, 2008 by smsm1986. 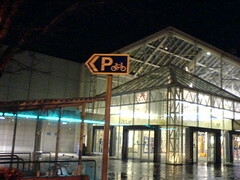 I noticed this sign at the Gyle Centre recently after they had move the cycle parking to another location. I wish there was more of these signs at supermarkets, as the bike parking is often hidden away so that you cannot find it. The same should apply to large offices, especially ones that don’t like you chaining the bike to the railings at their front door, and instead you have to park your bike somewhere else that often isn’t obvious. 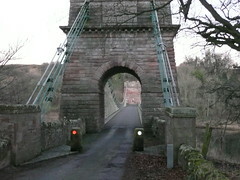 This entry was posted in Cycling, Edinburgh on January 7, 2008 by smsm1986. This months Edinburgh Critical Mass had about 50 participants. This entry was posted in Critical Mass, Cycling, Edinburgh on September 2, 2007 by smsm1986. 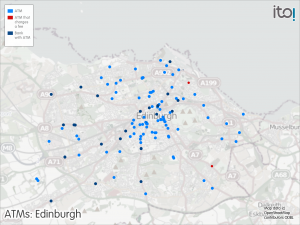 Last weekend’s Edinburgh Mapping Party went well. We had around 10 mappers at the meet up. Most of FIXME land has now disappeared. There was a few debates on what things should tagged. After some discussion it was decided the West Approach Road tagged highway=primary rather than tertiary, as it has all the characteristics of a primary, even so it doesn’t have a reference number. Also Princes Street hasn’t been a primary road since it was restricted some years ago to allow only buses along it east bound. Hopefully there will be some more meetups in the future. 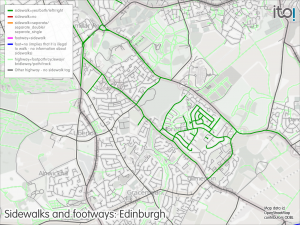 This entry was posted in Edinburgh, Maps, OpenStreetMap on August 28, 2007 by smsm1986. Today, I was intending to cycle from Edinburgh to Berwick-upon-Tweed and back. Unfortunately on leaving the lights a Regent Road to head down on to London road, my gears started making a grinding noise. Gears 5-8 all made a horrible noise. Luckily I still had gears 1-4, though unfortunately I had a top speed of only about 15 miles per hour, which is way too slow when on the road. I cycled down to Halfords at Seafield to see if they could see what the problem was. One of the guys at the BikeHut took a look and said that I could either wait about 10 days for a gear service (£14.99), or replace the gear cable myself, which probably would be the problem (£1.99). At least I did manage to do some more mapping for OpenStreetMap.org, so it wasn’t a completely wasted journey. This entry was posted in Cycling, Edinburgh, repair on August 11, 2007 by smsm1986.